A friend of mine recently came down with shingles. At first, she thought the itchy and bumpy red rash was a reaction to something she ate. But when she began to develop a headache and fever along with painful blisters, she was not so sure. Her doctor diagnosed her with shingles. She’s well on her way to recovery now (her case lasted about three weeks – but could have lasted longer, according to her doctor), but after hearing about her ordeal, I thought it would be helpful to share some details, since the risk of shingles rises sharply as we age. Shingles is caused by the same virus that causes chickenpox. 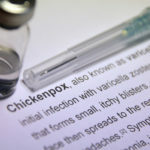 But even if you’ve had chickenpox, you can still get shingles; the virus lies inactive in nerve tissues near the spinal cord and brain – until it doesn’t, and reactivates. The rash can also occur around one eye or on the side of your face or neck. Shingles can show up anywhere on your body but usually appears on one side of the torso, as a stripe of blisters (a “shingles rash”). 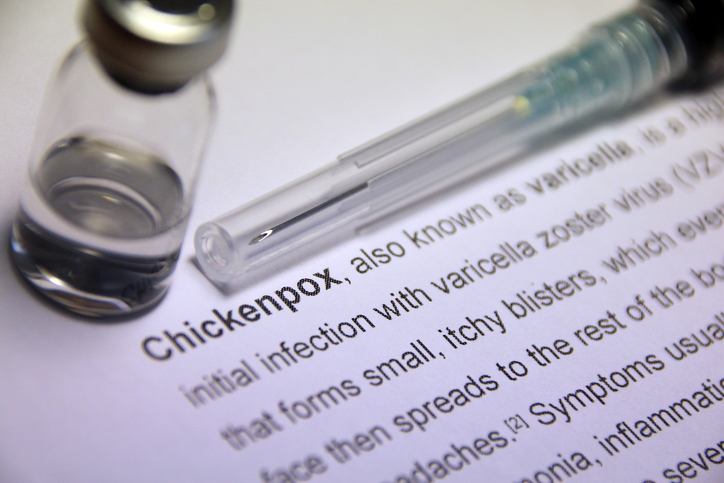 Not everyone who has had chickenpox will develop shingles. Shingles can be very painful for some, but not for everyone. Some people will only have mild symptoms, with just some itching. Along with pain, you can experience burning, numbness or tingling. Other symptoms include sensitivity to touch; even the weight of a light bedsheet against your body can be too much to tolerate. Some people are also sensitive to light and feel very tired. Sometimes, depending on the location of the pain, it can be misdiagnosed as a heart, lung or kidney problem. The risk of complications increases in people 60 or older. They include vision loss, neurological problems, skin infections and on-going nerve pain. Although the exact cause of shingles is not known, some think it may be due to having lowered immunity to infections that comes with age, or caused by a weakened immune system. Shingles is not contagious as shingles – but is contagious as chickenpox to a person who isn’t immune to chickenpox, if they have direct contact with the open sores or your rash. You’re contagious until the blisters have scabbed over. If you’ve had it once, you can get it again (although it’s rare). Shingles has no cure, but can be treated with various prescription antiviral drugs and other things to help with pain and itching. For some, cool, wet compresses can help as well. As you can see, shingles is something that should not be taken lightly and is more common than you might think: Each year, there are an estimated one million cases in the U.S., and it will affect about one out of every three people in their lifetime. A shingles vaccine can help protect you for about five years – and if you’ve already had shingles, can help prevent it from returning. But it doesn’t guarantee you will never get shingles. If you have shingles and have not been vaccinated, you’ll need to wait until the rash has disappeared. I got a vaccine about five years ago and am due for another, but am waiting a bit until the newest one, called Shingrix, comes available next month. It’s supposed to be more effective, more protective and longer-lasting than the older one that’s been on the market for over a decade. Even if you’ve received the older vaccine, the Advisory Committee on Immunization Practices recommends getting the new one. The only possible downside? It can cause some adverse reactions, like fever and muscle aches. And you need two – not one – vaccine, given at least two months apart. But to me, it’s worth possibly putting up with a couple of days of soreness vs. dealing with weeks of shingles complications. I’m waiting for the new vaccine, too! Wow I was just going to contact my doctor about getting the prescription. Glad you mentioned this new one! So glad I read your post. By the way I didn’t know if I had ever had the chicken pox and was told a blood test can tell you. Guess my case had been very mild.